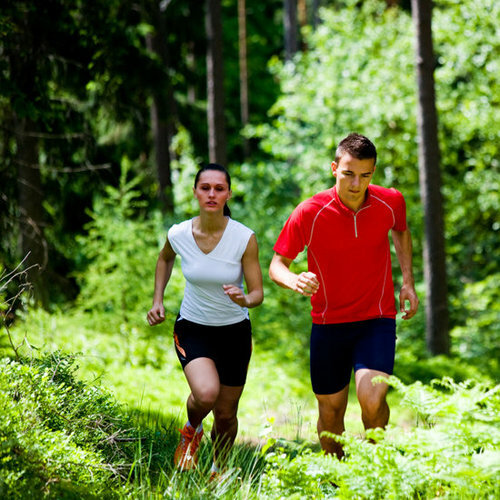 Do you like to hike, bike walk, run, kayak or swim? There are vacation destinations that will provide hours of physical activity for you and your family. Consider a hotel with a pool, a water park destination, back packing, river rafting, walking tours, or participating in a race (5k, 10k, half-marathon or full marathon) as a runner or walker. 1. The ages, abilities and skill level of those going and what is realistic for each family member. 2. Equipment and attire, for example, proper shoes (running shoes, hiking boots, sturdy walking shoes, water shoes) and clothing (shorts, swimsuit). 3. Check ahead of time to verify what is included at the site or tour; equipment, meals, the hours, lockers, guided tours, group tours, rental fees, package deals, minimum age, minimum height, and any health limitations or risks. 4. Involve the whole family in the planning and keep the focus on having FUN! The dictionary defines an athlete as a person trained or gifted in exercises or contests involving physical agility, stamina, or strength; a participant in a sport, exercise, or game requiring physical skill. Our bodies were designed to move. We are all athletes and capable of often doing more than we think we can or actually do, myself included. Let your inner athlete out. If you like to walk or run, join a team or training group. 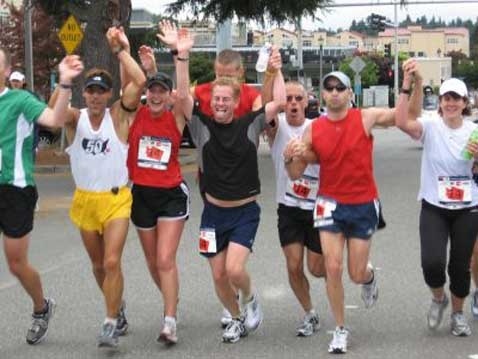 Did you know that a large percentage of people completing half-marathons walk them? Competing is one way of getting regular physical activity. Another might be going to the gym a few times a week, bike riding, swimming or doing yoga. Remember the definition of an athlete is a participant in a sport, exercise, or game requiring physical skill. If you choose to challenge yourself keep it fun, and gradually build up to doing more. 1. Use one of the following mantras: “I can, I will, I’m able.” “My body is healthy and strong.” “Peace, love, joy, well-being and abundance,” or make up your own. Say them or sing them, in your head or out loud, at a slow pace or a fast pace. 2. Pay attention to your breathing, your steps or specific body parts and how they move (arms, shoulders, shoulder blades, hips, feet). 3. Send appreciation to your body starting at the top with your head: eyes, ears, nose, mouth, brain, gums, teeth, jaw, throat, lungs, heart, liver, kidneys, spleen, back, arms, elbows, wrists, fingers, digestive system, stomach, intestines, rib cage, hips, legs, knees, shins, calves, feet, ankles, toes, muscles, bones, skin, tendons, immune system, all body systems. You get the idea. See how many parts of your body you can thank for working well. 4. Sing some of your favorite songs in your head or out loud, or sing “99 Bottles of Beer on The Wall,” forwards and backwards. This takes some mental concentration and it’s fun to do with another person. It’s a good distraction for a mile or two! 6. Play “A to Z games” with a buddy or by yourself, naming foods, states, countries, cities, street names, first names for boys/girls, song titles, companies/brands, etc. 7. Visualize yourself being surrounded by light or love, or send light or love to a specific area of your body and see if you don’t feel lighter and able to move with more ease. 9. If you like listening to music while walking or running, select songs with a slower beat for your warm-up, and songs with a faster beat to help you maintain a faster workout pace, then back to a slower beat for your cool-down. You can find lots of websites with how to calculate or get Song beats per minute for your playlist. It’s estimated that 80% of adults will experience back pain at some point. Most of us don’t learn how to take care of our backs until we have a back injury, myself included. When I was in my late 20’s, I was pushing a shopping cart full of groceries with my 4-year-old daughter in it. We were in a new area and I didn’t see the potholes in the parking lot. The basket started to tip, and the next thing I knew, I had a severe back injury. I was in pain for almost two years, then was referred to an orthopedic surgeon who gave me a booklet of back exercises, and a week later I was pain-free. I have always wondered if I had these exercises earlier if I wouldn’t have had to suffer so long. 1. First, get an assessment of your back pain or injury so you know what you are dealing with. 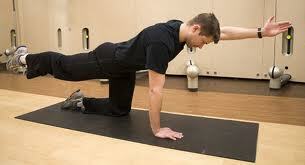 Then if given the okay, try specific back exercises. For photos and instructions click here. Once on the website scroll down to the photos. You can also ask your doctor, chiropractor, personal trainer or physical therapist, for back and core strengthening exercises. 2. Get regular exercise. Do low-impact activities, like walking or swimming, to get more blood flowing to your back muscles and to loosen them up. People who exercise regularly tend to have less back pain. 3. Take basic or restorative yoga classes, or Feldenkrais awareness through movement classes. 4. When lifting, bend with your knees, not with your back. Hold objects close to your body, it puts less strain on your back. And when in doubt, ask for help. 5. Take a stretch break every 30 minutes from sitting at the computer or on the couch. 6. Maintain a healthy body weight. Carrying excess pounds puts strain on your back. If losing weight is your goal, aim to gradually lose 1-2 pounds a week. Fast Walk, Jog or Run Your Way to The Finish Line! 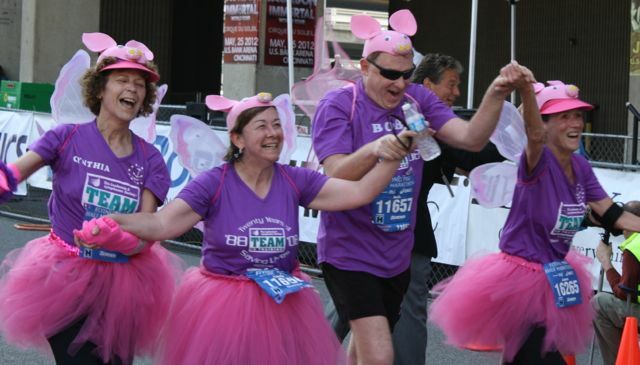 Have you ever thought of doing a 5K, 10k, half-marathon or full-marathon? The first race I ever did was with the American Stroke Association. I had gotten a postcard in the mail to train and raise money for the organization. I was not a runner and had not exercised consistently in a while, yet I was so drawn to doing this. After hearing two stroke survivors talk about their experience of having just finished a full marathon (one of them was 82 years old), I figured that if they could do it, I, being able-bodied, could too. So on January 15, 2006, after 7 hours of running and walking and running and walking, I finished a full marathon. Since 2006, I have completed numerous half-marathons, mostly by walking 15-16 minute miles, as I have mentored and trained others to finish their first race. I have since organized a group of friends who, for the past 5 years have been getting together every Saturday morning to train for half-marathons, our favorite distance. It also happens to be the most popular distance of races in the United States. Now is a great time to plan and train for a fall or winter race. You can start with a 5K (3.1 miles), a 10K (6.2 miles), a half-marathon (13.1 miles) or a full marathon (26.2 miles). Search online for races in your area, contact charity organizations or visit a local running store, they may even have a training program you can participate in. You can also find training schedules online. If you live in Northern California and would like to train with my group or meet up at a race in the area, just leave me a comment below. Movement and focus are two aspects, that when paired together can provide the benefits of calming your body’s nervous system, leaving you relaxed and centered. The use of movement and focus, takes us from over thinking or being on auto-pilot, to a new awareness as we are mindful about how we are positioning or moving our body. This can have a profound calming affect on your body’s nervous system, decreasing stress and anxiety, and increasing your feeling of well-being. In yoga the focus is on holding positions and breathing. I have tried yoga a handful of times and have had difficulties with the positions, yet loved the focus on the breathing. 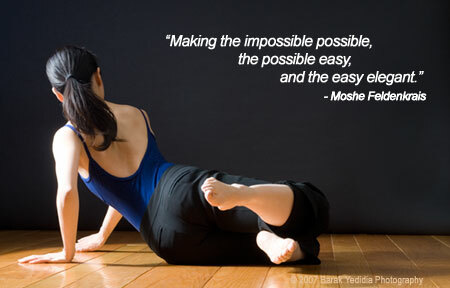 The alternative I found almost 10 years ago is The Feldenkrais Method, created by Moshe Feldenkrais in the 1950’s. With Feldenkrais Awareness Through Movement classes, the focus is on the movement and sensing the movements, this can also include sensing your breathing. There are Feldenkrais practitioners teaching this method throughout the U.S., Canada and around the world. If you don’t find a class or practitioner in your area you can visit the online bookstore for books, CDs and DVDs. I highly recommend the book Running With the Whole Body, by Jack Heggie. The lessons in it are great for anyone who walks, jogs or runs. Both yoga and the Feldenkrais Method provide additional benefits such as, better movement, posture, flexibility, coordination, athletic ability, and in many cases reduced pain. Traveling for work or for fun takes us out of our regular routine. Getting away can allow us more time to do what we like, reducing our everyday stress level, yet for some people, traveling is a very stressful event. My number one rule when traveling is to surrender to the process of getting to your destination. Accept that there will be lines of people or lines of cars, and delays that are out of our control. Whether you are driving or flying, arriving at an unfamiliar area can be stressful when you don’t know your way around. If you have a delay at an airport, take a walk around to reduce stress, or just to get some physical activity in before your flight. On long drives, take stretch breaks every two hours, and if you can, find a place to walk for 10 minutes. It will refresh you to continue your drive. Once at your destination, if you haven’t done so before leaving, check to see what your options are for physical activity. Many hotels and resorts have a gym, included or for an additional charge. An indoor gym is great if the weather outside isn’t. Some places offer classes: yoga, pilates, water aerobics, etc., and may have tennis courts. 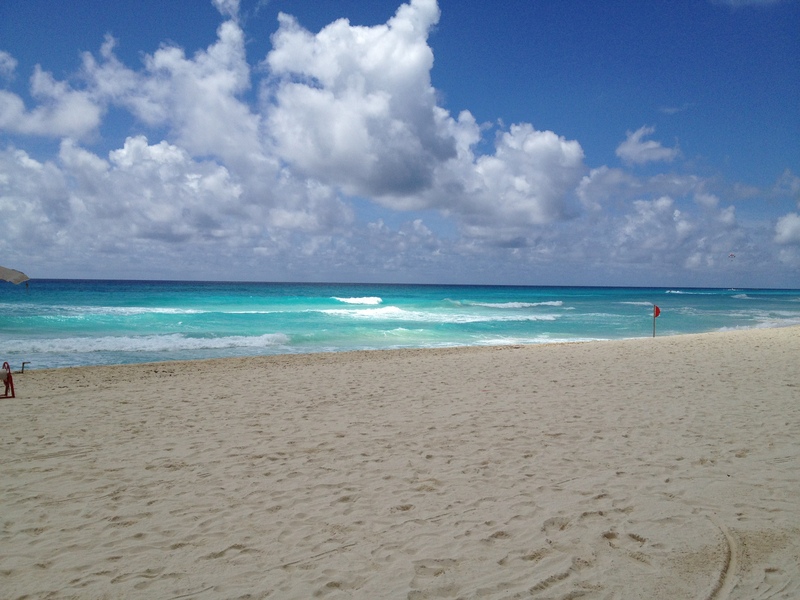 Some of the best physical activity is free, like walking on the beach or a self-guided walking tour of a historic area. Playing in the ocean waves, swimming in the pool, or playing water volleyball or catch with your kids can be great ways to bond. There is always the option of taking the stairs rather than the elevator, and lastly, for a strength workout, it’s easy to travel with resistance bands. There are many ways to get moving, walking briskly, jogging, swimming, dancing, and bicycling, to name a few. Your local city or community usually have programs for adults, and children of all ages, who want to learn a new sport or participate on competitive or non-competitive teams. These may include soccer, basketball, tennis, volleyball, swimming, gymnastics, and badminton. Dance studios are another place to add variety that may include jazz, hip-hop, ballet, and tap dancing. If you belong to a gym, they usually offer a variety of classes and may have some that children or teens can attend, especially in the summer. 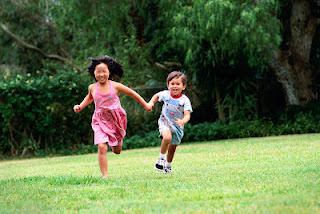 The Centers for Disease Control and Prevention recommends that children and adolescents get 60 minutes of physical activity on most, preferably all, days of the week. The recommendation for adults is 2 hours and 30 minutes (150 minutes) of moderate-intensity aerobic activity (brisk walking) every week. Put on some music and dance! Or get a buddy, join a team and get moving! One part of creating a healthy lifestyle is taking care of your body. Did you know that there are benefits to just walking? And it doesn’t have to be a fast walk? If you walk for 20 minutes a day, five days a week, you will gain healthful benefits that may include better circulation, more mobility, and better posture. If all you did was add 20 minutes of walking five days a week, and didn’t change your eating habits, you would lose approximately 7.5 pounds in a year. 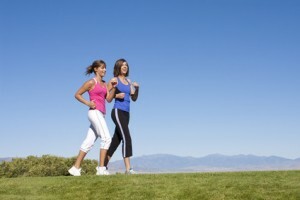 Walking 20 minutes at a moderate pace burns about 100 calories. That’s 500 calories a week and it takes 3,500 calories to equal one pound. So get a walking buddy, a friend, your dog, or someone elses dog…you get the idea, or go by yourself, it’s only 10 minutes out and 10 minutes back, so start walking!